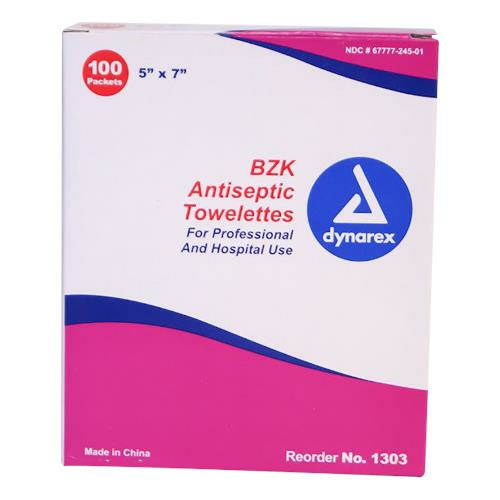 Dynarex BZK Antiseptic Towelettes are ideal for perineal and maternity care. They are alcohol free and can be used for effective cleansing. These towelettes are used for gentle cleansing throughout partum process or whenever cleansing or refreshing required. They contain benzalkonium chloride solution.